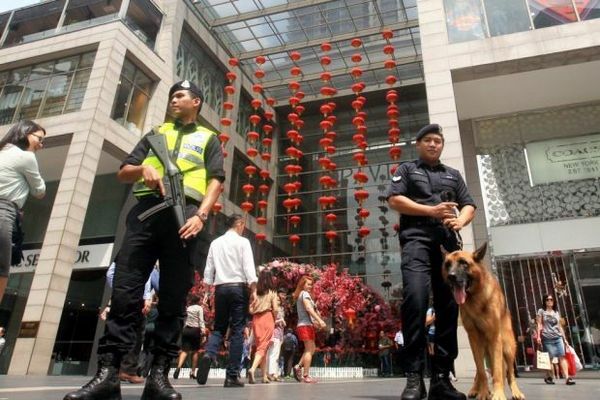 PETALING JAYA - Police have detained nine members of a militant cell planning to launch bomb attacks in Malaysia and other secular Muslim countries. The suspects aged between 22 and 55 include students, odd-job workers and professionals. Bukit Aman's Special Branch Counter Terrorism Unit arrested them in nine simultaneous raids - six in Selangor and three in Kedah - between 5am and 7am yesterday. Police are expected to make more arrests soon. The cell is believed to have been operating since October last year and had recruited its members via Facebook. Among those nabbed is a man in his 30s, said to be the brains behind the cell. According to a source, items seized from the premises included maps and plans of government buildings and key installations and publications. "This group is against any Muslim country seen as secular and pro-democracy. 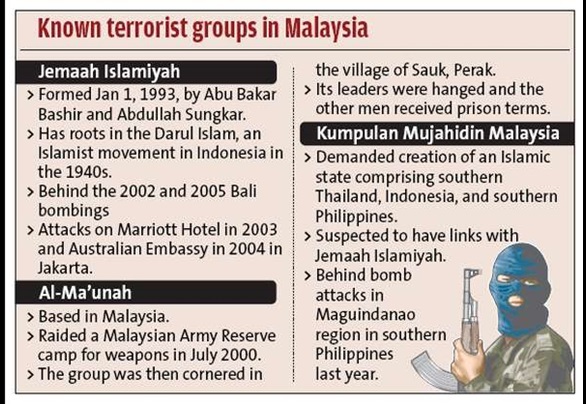 "We believe our government and other governments are its intended targets in what it regards as Jihad Perang (Holy War)," the source told The Star, adding that Jihad Perang was also the same motto adopted by Jemaah Islamiyah (JI). The source said police were now looking for the group's weapon caches in the two states. "This group has no political links but has ties with foreign terror cells," the source said. It is learnt that the group is also involved in recruiting fighters to Syria and authorities have also traced its indirect links to the al-Qaeda and JI terror groups. Among the publications seized were books written by JI spiritual head Abu Bakar Bashir, who is in jail in Indonesia for inciting terror attacks and for funding terror cells in Acheh. Abu Bakar made international headlines for his involvement in the 2002 Bali Bombing, which killed 202 people. 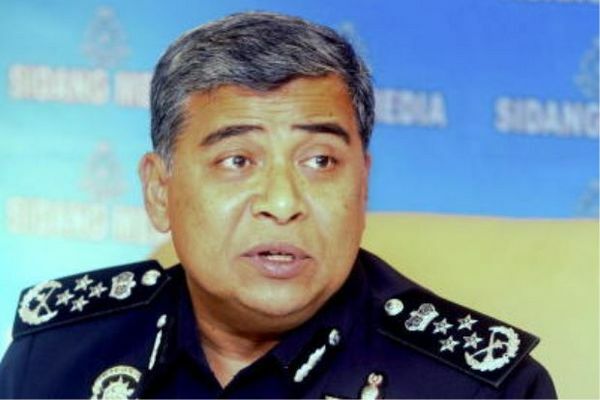 Inspector-General of Police Tan Sri Khalid Abu Bakar congratulated the department over the detention of the nine people. He added in a statement that some of the suspects had held meetings in raided premises to promote their ideology, collect funds and conduct military training. "They will be investigated under the Security Offences (Special Measures) Act (Sosma) for being involved in militant groups responsible for planning terror attacks in the country and on foreign soil and for having links with foreign terror groups," he said. 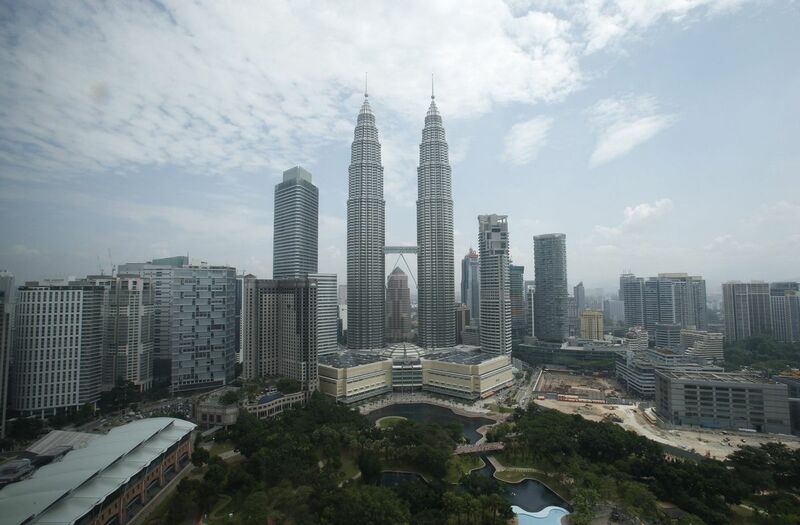 Kuala Lumpur is "secure" despite a terror alert issued by Australia for its nationals. 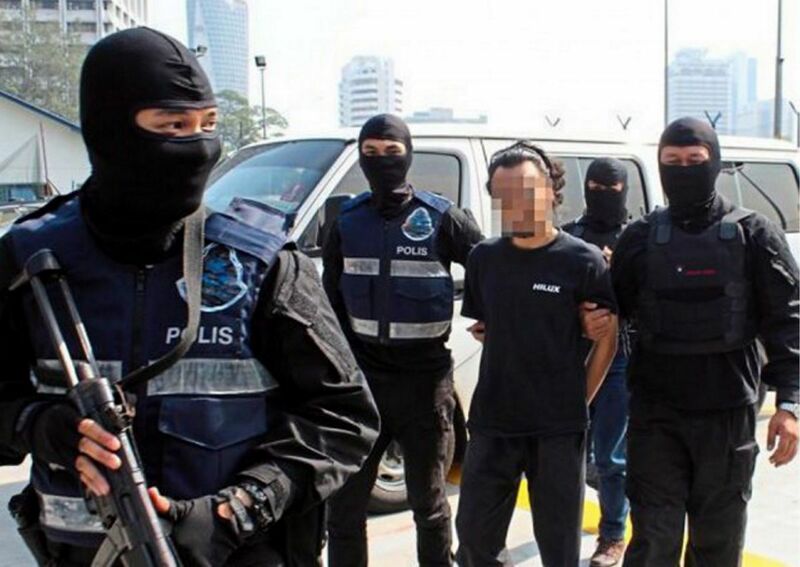 One of the suspects believed to be a member of ISIS has been detained by the Malaysian police for allegedly planning a series of terror attacks in the Klang Valley in Kuala Lumpur, Malaysia. 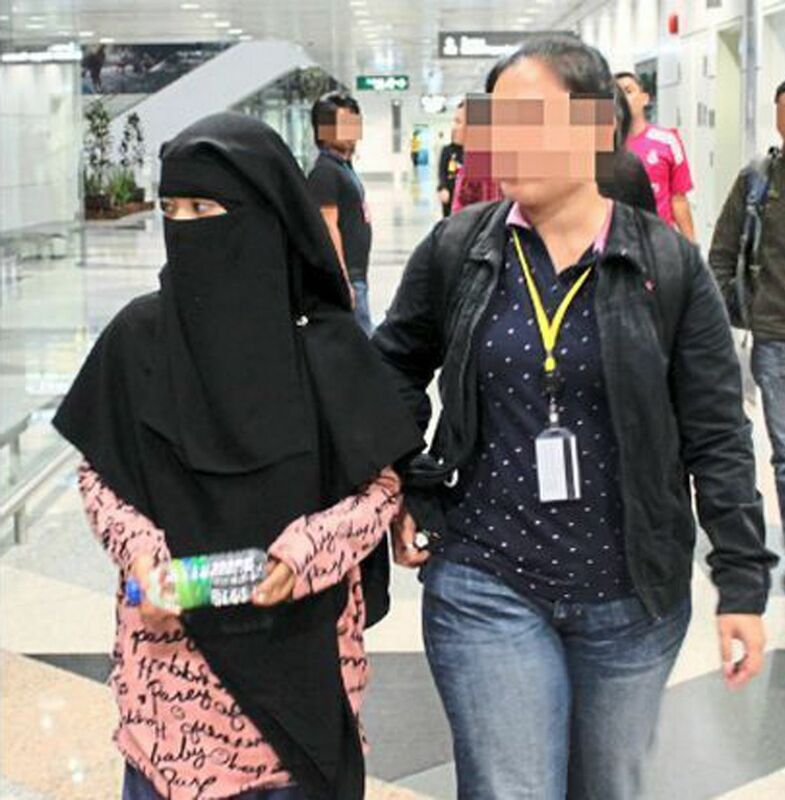 A 14-year-old Malaysian girl suspected of attempting to head to Syria and join the ISIS terror group was arrested before she could board a Cairo-bound flight at KL International Airport. 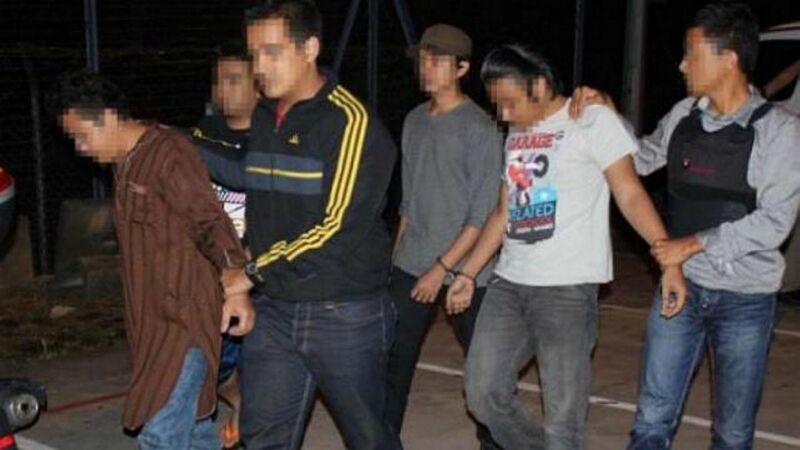 A family of five were among 14 suspects arrested in Shah Alam and Damansara in Kuala Lumpur, Malaysia, for allegedly recruiting members to join the ISIS through social media. 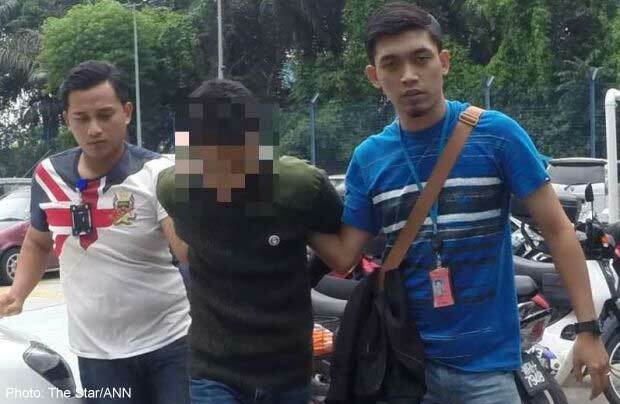 This man was among seven Indonesians, aged 25 to 35, arrested by the counter terrorism division of Bukit Aman’s Special Branch in Kuala Lumpur,Malaysia, for their alleged involvement in militancy as well as for using Malaysia as a transit point before heading to Syria. 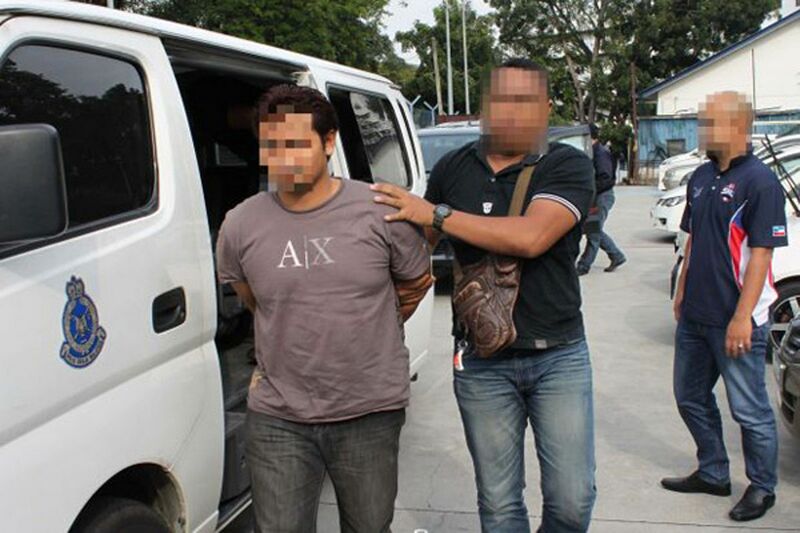 Bukit Aman's Special Branch Counter Terrorism Unit arrested them in nine simultaneous raids - six in Selangor and three in Kedah - between 5am and 7am on Monday, April 28. Items seized from the premises included maps and plans of government buildings and key installations and publications. “We believe our government and other governments are its intended targets in what it regards as Jihad Perang (Holy War),” said a source. Among those nabbed is a man in his 30s, said to be the brains behind the cell. “This group has no political links but has ties with foreign terror cells,” the source said.